Why would a lender foreclosure instead of approving a short sale? As a Massachusetts Realtor who deals with short sale transactions on a daily basis, I have seen and learned quite a bit since I started getting involved with these types of transactions four years ago. One thing that I am extremely proud of is the fact that every short sale that I have listed has received short sale approval from the lender. This is no small feat, as nationally the success rate for completing a successful short sale in less than 30%. I certainly can not take all the credit as the attorney I work with does all of the grunt work with the lender. The short sale law firm I use does outstanding work. My job in a short sale is the same as with any home I am marketing….get it SOLD! This means finding a buyer who will pay something in the ball park of market value and be willing to wait the time it takes to get short sale approval which is typically longer than a regular transaction. Of course part of getting a short sale to the closing table is knowing how to follow proper procedures. The are plenty of Realtors getting involved with short sales who are completely clueless but see it as a money making opportunity and are willing to put a seller’s financial future at risk for their own potential gain. Realtors® submitting multiple unsigned offers to the lender. Realtors® submitting low ball offers to the lender. Realtors® allowing home inspection contingencies after short sale approval. Realtors® allowing an investor to negotiate the short sale. For a complete explanation of each of these issues and why you don’t want any of them to happen to you see short sale lawsuits against Realtors. Then again there are some Realtors who do in fact understand the short sale game and how to successfully navigate the waters. Short sales that have more than one lien holder tend to be slightly more difficult to get done than ones where there is only one lender involved. When there are multiple lenders involved you need approval from both in order for the sale to take place. While I have yet to have this happen (knock on wood) I know of other Realtors who seemingly have had a situation where a 2nd lien holder has chosen to foreclose instead of granting short sale approval. The scenario goes like this…. a home is on the market for $300,000 and is being marketed as a short sale. There is a 1st mortgage on the property for $310,000 and a 2nd mortgage for $50,000. The seller has lost his job and can no longer afford to pay the mortgage so he chooses to short sell his property. A buyer comes along and makes an offer for $290,000 which is accepted by the seller and sent to the 1st and 2nd lien holders. After a period of time the 1st lien holder orders an appraisal to verify market value and after doing their due diligence determines that $290,000 is well within the acceptable limits of market value. During the negotiation process the 2nd lien holder is offered $5000 in order to approve the short sale and allow the sale to take place. The lender digs in their heals and says NO. They will not accept the short sale payoff of $5000. The Realtor involved says why not? They go on to argue with the lender that if you allow this to go to foreclosure you will get NOTHING as the home is worth far less than the $360,000 mortgage balance. The lender does not bend and says we don’t care we are going to foreclose. Folks this is a real world scenario that happens everyday in the world of short sales. The 2nd lien holder has a loss sharing arrangement with the FDIC that will allow them to collect substantially more than the amount offered by the first lien holder under the short sale scenario. Unbeknown to the homeowner, the second lien holder has bought insurance against the default. The lender will now collect on that insurance. Depending on the terms, this may not have been possible if they agreed to a short sale. The homeowner’s loan with the lender was full recourse and they intend to pursue him for the deficiency and/or sell that right to a collection agency. There are tax advantages to the lender that far outweigh the offer of $5000 that they received from the 1st lien holder. The above situation is why it is imperative to have a great short sale negotiator on your side. Of course there are times that it will be impossible to make the deal work but in many cases the skill of the negotiator can find a middle ground with the 2nd lien holder. If you are need to short sale your home or condo in Ashland, Bellingham, Framingham, Franklin, Grafton, Holliston, Hopedale, Hopkinton, Medway, Mendon, Milford, Southboro, Westboro, Natick, Northboro, Northbridge, Whitinsville, Upton, Uxbridge, Shrewsbury, Worcester, or Douglas Get in touch! I would love to interview for the chance to represent your best interests. I am successfully completing short sales through out the Metrowest Massachusetts and Worcester County areas. So far, knock on wood, I have a 100% success rate for short sale approval! About the author: The above Real Estate information on Lenders choosing foreclosure over short sale approval was provided by Bill Gassett, a Nationally recognized leader in his field. Bill can be reached via email at billgassett@remaxexec.com or by phone at 508-435-5356. Bill has helped people move in and out of many Metrowest towns for the last 24+ Years. I have exactly this scenario and wondered why the 2nd lien holder was forcing forclosure. In my case, the MI company of the 2nd lien holder want a seller contribution yet the seller is flat broke. When I talked with the 2nd negotiator he stated it did not matter where the money came from. The buyer’s agent and myself were going to pay it out of our commission but the 1st lien holder refuses to allow it on the HUD. When I told the 2nd lien holder that the contribution would not be on the HUD but would be disclosed in an Addendum, the negotiator’s response was, “I need to check with our closing department to see if this is OK.” Do you or someone you know have any advice? Robin I think the answer you are going to get is that it needs to be on the HUD for full disclosure. You could also have the buyer do the contribution. Bill, great current information on short sales in your area…how are you finding Bank of America now especially since the Equator system came into being…I am finding it moving along much better? Bill, more great information, and it makes sense now. Thank you! Question for you, do your clients pay the attorney up front or is all the negotiating included in the attorney fee paid at closing? Very curious about this. I knew the second lien holder was holding out. Now I know why. The PMI company would not approve the short sale. Hi Ginny – I have not found BOA recently to be any more difficult to work with than any other lender. They have come a long way! Hi Andrea – Sometimes the attorney will collect a fee upfront and sometimes not. The best answer is it depends. Many excellent points here Bill. I work with many buyers looking for great real estate deals, and after they understand that low-ball offers don’t work, and the process to purchase a short sale home can have an unpredictable time-frame; they then better appreciate the short sale listing procedures you have set up to be successful. Bill, thank you so much for this extremely helpful information. So many folks just do not understand why a lender wouldn’t take “something” rather than nothing – and although I try to explain there are many scenarios where the seemingly “nothing” may be more than meets the eye to the average consumer, you have articulated it very concisely and clearly. Thanks! Bill – Excellent advice and congrats on your statistics. I have become a bit more analytical in determining which short sales I will take on. I don’t have someone who helps me negotiate and often wish I did. You have presented some good reasons why the second will not negotiate. I have had a few where the PMI company required a promissory note and I let my clients know it can happen. Thanks for the compliments on the short sale article Paula. Believe it or not I have taken every short sale opportunity that has come my way. I know my streak will come to an end at some point. It really is gratifying to help someone who is under a lot of financial duress. This is all excellent information regarding several very important aspects of the short sale process. I am in the middle of one where the second lender has dug their heels in and just in a quagmire…no one is budging and it is likely that the seller will wind up in foreclosure. Such a shame after all of the work that has gone into it and the wonderful patience that the buyer has maintained too. An acceptable percentage going to the second that is ‘mandatory’ would be helpful in these situations. Great information and advices on the short sales! I’m a home owner and worked with several agents on my property short sale with BOA for more than 2 years. I never obtained the approvals because the mortgage insurance company asked for quite some amount of cash contribution that’s hard to agree upon. What’s strange is that I didn’t receive any notice for foreclosure either although the mortgage payments was stopped since 2 years ago. Is it normal or is there any bigger problem behind the scene and probably will pop up in the future? 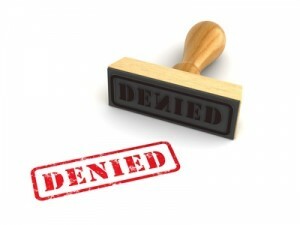 JT – It is highly unusual that you have not received a notice to foreclose in two years. There could be some kind of issue, possible a title problem. Your posts are fantastic! I really appreciate having another group of short sale Realtors show the other side of things and provide all the options to home owners–what will happen if they foreclose, and what will happen if they undergo a short sale. Thanks for your compliments on my short sale articles! There are many Realtors who are listing short sales without the knowledge and expertise to do so. My goal is to help as many people as possible avoid foreclosure. I admire the tenacity it requires to be a successful short sale listing agent. We don’t usually use attorneys here in New Mexico. I wish we did, I’m sure it would help move some of these homes. Good luck maintaining your 1.000 batting average! Thanks Rich. I appreciate your compliments. There is an awful lot of hard work that goes into getting short sales approved. Hello Bill, We live in a rural area and share a leachfield (maintenance expenses included) with a large family next door. The family is in default on their mortgage and we want to do a short sale to obtain their property. The house is in such disrepair that it has very low value. We have had the leahfield inspected and it is failing. The report indicated that the large family contributed more to the failure than we did. We live on a mountainside and the cost of a new leachfield could surpass any value the house could have. The house is mortgaged through USDA. The question is: Is there a possibility that we could negotiate the sale down to paying nothing for the property and in return take all responsibility for the leachfield repairs? There are also 2 other liens on the property so they are under water too. How will the other lien holders react to this situation? Dee a seller does a short sale not a buyer. So your statement “we want to do a short sale to obtain their property” is confusing. The property has a value and the lender would determine what they are willing to sell it for. The failed leach field would be taken into consideration when determining the value. Yes, the seller wants to do a short sale. However, it appears there are so many major issues w/ the property that we all feel like it has lost considerable value – to the point where repairs will exceed any value. In this case do you think the lien holders will just want this money pit off their backs? If a short sale is not approved they could be faced with a potential lawsuit from us since we share the leachfield. We realize we are legally obligated to pay for half of a new one but what happens when the other party (the seller) wants to abandon the property? Its a Catch 22. Just to be clear. We have adjoining properties. We each have our own septic tank but share a (now failed) leachfield. According to our deeds we share in the cost of repairing the leachfield. This is a legal nightmare for the seller but we want the property. The property’s value is almost zero at this point. Basically, if a house no longer has any ( I mean, none whatsoever) value what will the lien holders do. I think that I may be working backwards, but I will ask the question. I have put an offer a home for short sale. The lender has approved the sale. I have failed to ask the questions: if it was foreclosed, were there liens, property taxes, and who knows what. What should I do/or ask? Hi Angie – In order for you to get a mortgage on a short sale the taxes. liens, etc would need to be paid off by the lender. You should have a clean title when you close on the property. If the lender has just approved the short sale then it has not been foreclosed. It could in the future but not likely as long as you proceed with the sale. Great explanation. Most of us don’t realize what goes on behind the scenes – ways that the lenders can profit by foreclosing. Marte there are tons of Realtors that do not know how or why short sales do not get approved and end up as short sales. Sometimes it can be for the reasons mentioned in the article. Kudos on bringing some of the less obvious aspects of the foreclosure process to light. Mortgage insurance is a good example of how lenders rarely miss a trick. Thank Mike. Many people do not realize what goes on behind the scenes with these lenders. Sometimes it makes sense for them to foreclose over allowing a short sale to happen. I am a broker working for a short sale seller. There is only one mortgage on the property. The seller has moved and just recently stopped making payments on the property. The mortgage company has accepted the contract and moved it over to the MI. She said she expects that the MI will ask for a cash contribution. My seller has some cash but is expecting a child and has to come out of pocket with over $20,000 to cover non-insured expenses. My seller made more in 2010 than 2009 but has made less in 2011 than 2010. The short sale contract and appraisal are both at $89,000. The remaining balance on the mortgage is in the high 150’s give or take a few thousand. They can’t really pay any cash to settle and I want to avoid a deficiency judgment or at least limit it as much as I can. So what is the solution or what do I do if they simply do not approve the short sale? Would a deed in lieu of foreclosure be preferred under any circumstances to a foreclosure or a cash settlement? How does an attorney help with this situation and is one necessary? The only thing I can think of is have them pay $30,000 to get the mortgage ration down to 80% and then drop the MI but then they have no money for the baby. Plus, paying money to save a deal that is so far upside down really makes no sense. Any ideas would be appreciated because I do not know what to expect now. Shane I have an attorney involved in all my short sales for one simple reason. I do not want to be involved with negotiating a short sale like you describe in your comment. Negotiating a short sale is a full time job in an of itself. What you are going to need to do is try to offer them is little as possible and hope they go for it. Sometimes you can really get them to take a lot less than their initial offer other times you can’t and the seller will have to make a tough decision. So have the negotiations actually started or do they not really start until the MI responds to the lender approved short sale that the lender has forwarded to the MI? Should the MI get the info above about money, income, baby expenses etc. or do I wait and see what they do? I am not sure I see what an attorney could do right now but maybe in the future after they get back with us with something, or is it too late then? I have found this blog to be the most useful source of basic, practical information on this subject that is available. What would you do right now? Thanks for your time and effort. It sounds like you are through one phase of the negotiation and now just need the MI approval. The MI company can put additional funding requests of the seller into the approval equation. For example I had a short sale last week where the lender approved the short sale with the seller not contributing any funds. The MI company however would not allow the short sale to go through without either a cash contribution or the seller signing a note at closing. It could be one of the other or both. This is where negotiation skills come into play and like I said the attorney does all of this. A short sale negotiation takes a lot of time and energy. I am 70 yrs old, with OK credit. 6 yrs ago I tried to help a young couple with 4 kids save their house by purchasing the house and letting them rent it. Now the house is underwater by at least 85k. I have a 1st (120K) and a 2nd (15K). I am not in good health. Is it possible to do a short to this couple as they are willing to purchase at today’s value. What can I do? This is not my primary residence and this situation is so stressful, I just need to be released from this ball and chain. I don’t want to file bankruptcy or foreclosure. Bobby I am sorry to hear about your situation. Unfortunately it is unlikely the lender will allow you to short sale your property to family members. They do not consider this a “arms length transaction”. You can go ahead and try a short sale but more than likely you can’t sell it to your relatives. Bill, I’m so happy to have found your article! I am currently trying to purchase a short sale property. There are 2 mortgage liens on the property but they are both with the same bank. The 1st mortgage approved the sale but the 2nd rejected it. The 2nd is owed approximately 45k and would have received only $2,900.00. But as I mentioned both loans are with the same bank (USAA/GMAC). After reading your article I’m wondering if they are looking to foreclose as they might get more money back. I had gone ahead with the appraisal when the 1st mortgage approved the sale. The appraisal is 250k and my purchase price is 270k. I forwarded this information on to the short sale attorney. Do you happen to know if this could potentially help me with getting the sale done since I am willing to pay more than the appraised value? Thanks for any insight you might be able to offer! Rebecca there is no way to know for sure if the lender would be better off foreclosing. Did the 2nd mortgage holder make a counter offer? It is hard to answer your questions with the limited info I have. I assume when you say the appraisal came in at $250,000 you mean your lender? GMAC would have also had their own appraisal done and this is what they will use to support the value. 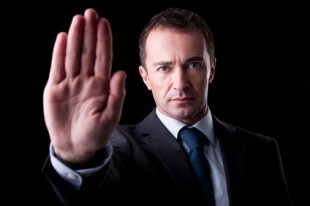 Typically lenders don’t just flat out reject an offer but make a counter proposal to what has been presented to them. Did this not happen? Great information Bill, thanks for posting. I also have a good track record with closing short sales but one of the biggest difficulties that buyers and sellers get impatient; it takes a lot of tenacity to keep everyone focused on the goal, not the process which at times makes no sense. Most buyers (and their agents) don’t really understand that these things take time. Like most things, it’s about expectations – posts like this really help! Keep up the good work! Thanks for the compliments Marilyn. There is no doubt that short sales can be challenging transactions. As you mention there are far too many Realtors trying to get in the game and try to do them when they have no expertise. This is a lose-lose for all parties involved. We just put in an offer on short sale land that has been sitting for a year. The seller has it at $50000. We placed an offer of $30000. Would you think that is a low ball bid to the lender since it has been sitting? Krissy like any other property it would depend on what the comparable sales data looks like. In a short sale the lender is going to rely on the valuation they have either from an appraisal or a broker price opinion. I have a USDA loan on my home in WI. I ran in to trouble with money, and now trying to short sale my home. I have an offer but the USDA will not take it. Is there anyway to get them to take it? Jb – in my experience the USDA is one of the toughest institutions to deal with in short sales. I am quite sure they are not going to change their position. Is their decision not to accept the offer based on a broker price opinion or appraisal they received? Great Article, congrats on that. I am trying to short sale my property, but my association hired a receiver, I already got the approval from my lender, but I dont know what to do with the receiver granted by the court. Hi CS – I am not sure what you mean by “receiver”. Please explain. I have a freddie mac first and citi second. The first approved the short sale and offered the second the max allowed $6000. The second has not responded back as they asked for $9300 due to pmi on the second. Will freddie mac allow me to sign a promissory note to the second to make up the $3300 difference. What are my other options? I hate for this thing to fall through over $3300. Every short sale is different due to the investor involved and the decisions they make. There is good chance they may accept a promissory note but no guarantee. Great article! I need your opinion … I’ve been trying to buy a SS that was already ‘approved – buyer fell out at last minute’ and the listing agent is a self -described Short Sale Expert. I fell in love, offered 2k over approved price, and the sellers approved immediately. Then it went back to BofA for final approval. It’s been well over a month, BofA isn’t returning the listing agents calls or emails. Ariana – just because the short sale was approved before does not mean that BOA is going to immediately turn around and give you an answer. When there is a new buyer the process can start from scratch again. If the listing agent is an expert as you mention then he or she should know this. A month is not a long time at all to be waiting for a short sale approval. Thank you for the quick response! The listing agent sent my agent an email stating boa isn’t responding and he’s afraid they’re just stalling to foreclose on it. Does this sound right? Thanks again for your expertise! Ariana without being connected to the transaction there is no way for me to know. Has an auction date been set? Listing agent said that it is ‘this month’, bit has been vague. Is there anything I can do to get it extended so I can buy this house? Honestly, I think the listing agent has blown this whole deal and I’m afraid to lose my dream house! I wish I could hire you to clean up his mess!! Thank you again for all of your insight. Ariana if the listing agent is a so called “short sale expert” like he says he is getting the foreclosure postponed should not be a problem. It would be highly unusual for a lender not to postpone with the property under contract for a number close to the market value. Now if the offer you submitted does not make any sense that is another story altogether. Thank you Bill. I’m going to keep riding him to get the auction postponed. We’re under contract for $2k OVER what they approved for the previous buyer 3 months ago. I have a glimmer of hope now. How much longer do you think it will take to get the written approval? It’s been 6 months now since my initial offer. There is no way for me to know without being involved in the transaction although six months is a long time already. Something seems amiss if the property was listed for $450,000 and your offer is $475,000. It does not sound like the property was priced correctly?